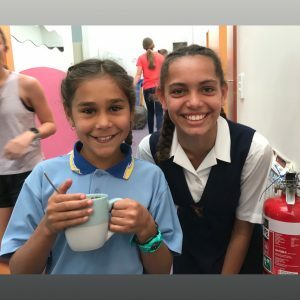 What a busy time the girls have enjoyed so far in Term 3. They keep active and busy with rowing, QG sport, extra-curricular sports and interests, not to mention House Plays and Debating. And, on top of all this, our girls approach their academic courses determinedly! 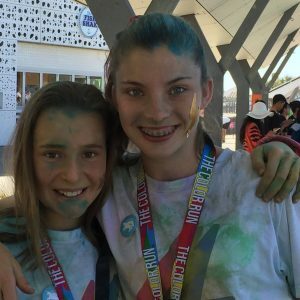 Our Year 12s are about to sit their QCS exams and most girls find themselves completing a number of assignments or tests – just what we get used to in Term 3! 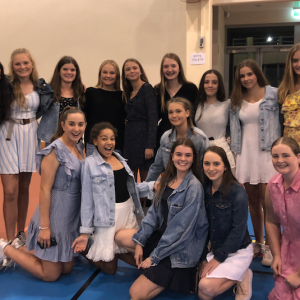 In Boarding, we have welcomed and farewelled exchange students, with our own girls excitedly heading overseas also – what wonderful opportunities our Boarders are able to seize. 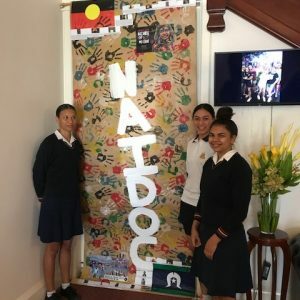 In this newsletter we share some of our Boarding activities of the first weeks of term – Year 9 Dance Class, the poster painted by our girls for NAIDOC Week, with our theme, “Yes We can!”, fundraising in the Colour Run, welcoming future Boarders on Boarders Experience Day and just “hangin’” and having fun! This weekend is our annual Bush to Beach Bash organized by our own BPSG along with the TSS BPSG. It’s always a great night of fun, friendraising and fundraising for Boarding and we look forward to catching up with many of our Boarder Parents. Mrs Rigby and I are off to the Weengallon Pink Ladies Day next week – St Hilda’s is proud to be a sponsor of this wonderful fundraising event and we are looking forward to sharing the day with some of our Boarding Mums. Boarder Mum, Emma Montgomery is President of Weengallon Pink Ladies Day and we congratulate Emma and her huge team on their hard work and generosity of spirit and time in this important community event. 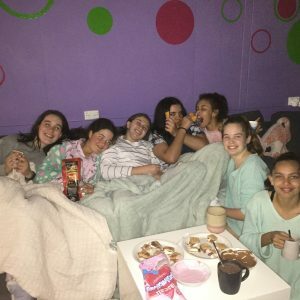 It is lovely to be back in our Boarding Community and to catch up with our girls and their families. I missed them all very much whilst I was away – the fun, the passion, the antics and even the challenges – for all of those make us whole people. I would like to take this opportunity to thank sincerely and to congratulate Mrs Amanda Rigby, Deputy Head of Boarding, who was Acting Head of Boarding during my absence. Her work in Boarding was exciting and engaging – and she is still energetic and smiling! Our Heads of House supported Amanda generously and all staff “went the extra mile”. What a team and what a community.